The State’s heart of gold came to life in partnership with the Channel Nine Network’s premier travel show Destination WA. With support from Tourism Western Australia, the Gold Industry Group highlighted the State’s golden tourism experiences in several episodes broadcast as part of the show’s Summer Series. 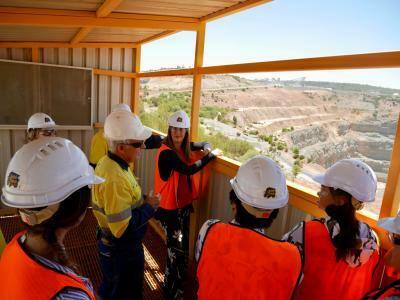 The three episodes, which went to air over December – February, included footage of the Kalgoorlie Super Pit Tour, the Perth #heartofgold Discovery Trail, and Go West’s Mine to Mint Tour Experience. Giving insight into the unique gold tourism experiences available to discover whilst showcasing Western Australia’s remarkable gold mining history and its continued importance to the State’s economy and future, each Destination WA episode provided the wider Western Australian community with a connection to their gold sector. The episodes can be viewed at www.youtube.com/heartofgoldWA. These and other gold tourism experiences and the latest gold news can be found on the Gold Industry Group website and the free Heart of Gold Australia app.